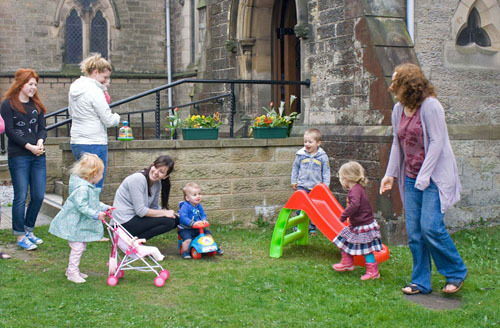 Tiddlers is our pre-school group for under-fives and their parents or carers. It is held in the church hall on Fridays 10:30-11.45. A warm lunch is served from 11.45 until 12.30. For further details contact Susan on 01524 39157.